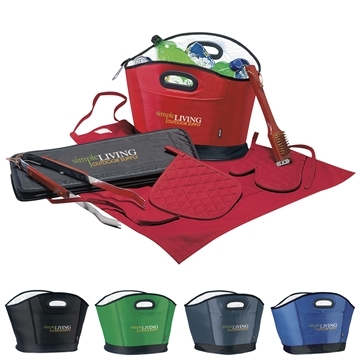 This gift set is a tasty treat for BBQ fans! Kooler carries 24 cans plus ice. It was quite solid and didn't lost form easily. This is definitely a good purchase! Outstanding product! I'd certainly order these again. the produce, price, and selection are excellent. We had a large variety of products to choose from and founds ones that fit our needs with Rosa's help. Cutest product I've order so far!! An excellent quality product for a wonderful cost - our staff loved them. I got the bag as a gift and it was just what I wanted--simple and well-designed. Nice quality and the printing looks great.